Reach for the stars. The advice that failed a generation? 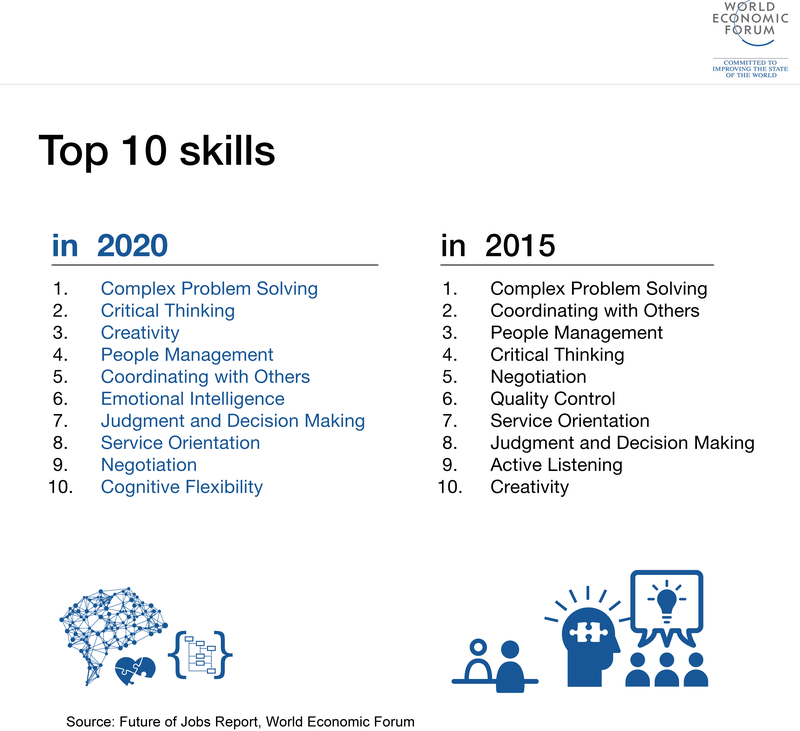 What does the future of work look like for Gen Y? When the Brexit referendum result came in, many celebrated, while millions despaired. The disappointed supporters of British membership of the European Union tended to be younger and better educated. Many young people felt let down by older Brexit voters. After all, they are the ones who will have to forge careers in less certain circumstances. With or without a “hard” Brexit, millennials or Gen Y – those born between 1980 and 1995 – are deeply concerned about their futures, all over the world. Whether it’s housing shortages, job prospects or general political insecurity, Gen Y is worried. This has to be of concern for everyone. Gen Y will soon become the largest living generation and will comprise 75% of the workforce by 2025. The median age of employees of Google, Alibaba, and Tesla is 30 or below. They have a mix of interests and challenges, unprecedented new skills, different insights, and often a flair for entrepreneurship. Take Rajeeb Dey, for example, named as a Young Global Leader by the World Economic Forum. Rajeeb wanted to make a difference to the opportunities of other young people and became an entrepreneur aged 17, while still at school. Rajeeb, like all Gen Y-ers, is one of the first generation of digital natives. Many are well educated, well travelled, digitally literate, ambitious and impatient to pursue activities that interest them. They embrace casual work environments, co-working spaces, flexible working hours, online learning and flat company hierarchies. Their career values and use of technology is beginning to determine what the future of work might look like. But this is not a simple tale of technological progress and utopian views of employment. Other Gen Y-ers are fearful of the future: half of young Spaniards are unemployed. They live in challenging economic circumstances, where automation and artificial intelligence threaten the future of jobs. 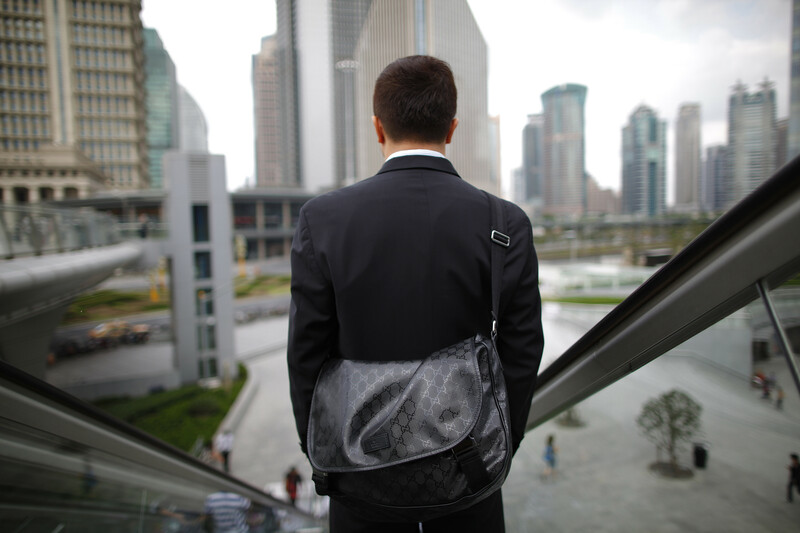 Gen Y’s attitudes towards work were shaped by the global financial crisis, which occurred while they were in high school, university or at the beginning of their career. 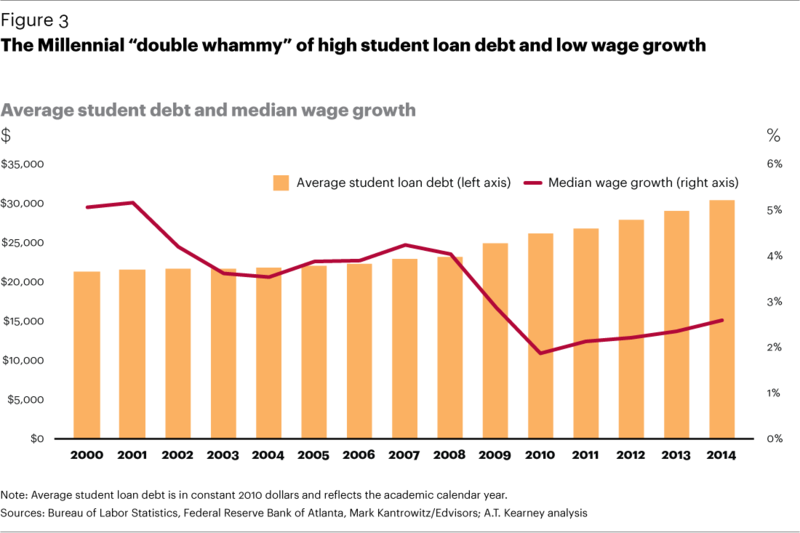 They watched opportunities for graduate careers shrink and many saw their student debts rise sharply at the same time. These challenges, and the realization that they will struggle in housing markets, are all the greater as they spent their childhoods during an economic boom. The conventional financial and career limitations they face sit alongside the way their parents raised them to “reach for the stars” and “do what makes you happy”. Rajeeb Dey formed his start-up, Enternships.com, in the depths of the recession. Many Gen Y-ers are not too concerned about the impact of technology on their work – but they should be. While they are largely fluent in using technology, many are ignorant as to how it works, especially compared to Gen Z, the generation below, who learn digital skills, such as coding and programming, from primary school age. This suggests that Gen Y could be left behind by the next generation of digital technology. Despite recent rapid changes, younger workers are slightly more likely than older workers to expect that their current jobs will exist 50 years in the future: 84% of workers aged 18 to 29 expect that this will be the case, compared with 76% of workers aged 50 and older. While Gen Y is aware of the challenges of technologies such as automation and artificial intelligence (AI), and confident they can live and work alongside them, it is up to them to create the jobs that allow them to do so. It is also up to them to be active learners and continue to improve their skills so that they do not get left behind. Evidence that Gen Y is conscious of this is their keen use of online education providers such as Coursera, EdX and Udacity, which offer short, industry-specific courses on the use of new technologies. Udacity - university by industry – is an online provider of nanodegrees, supported by Google, Facebook, GitHub, IBM and other tech giants. It offers courses for self-driving car engineers, iOS developers, and machine learning engineers. Another provider, General Assembly, promotes itself as “the solution to the skills gap”, teaching courses in fields such as coding, UX design and digital marketing. Lynda.com offers more than 4,000 online courses in business, technology and creative skills. But the question remains as to whether learning to code, to work in companies like Salesforce is going to lead to a fulfilling career? Or is coding “the next blue collar job”? Accessing these courses can be valuable, but there’s a risk that young people will favour them and skip traditional tertiary education, such as going to university. This risks them missing out on developing soft skills, learning the politics, history and cultural components behind their topics, and entering the workforce unprepared to deal with its complexities and uncertainties. They may learn about some of the technical issues of the day, but not how to thrive in the complex and confusing world of tomorrow. Gen Y needs to see these courses as supplementary and not as sufficient in themselves. How loyal are millennial employees? With some justification, Gen Y complains government legislation favours older generations in areas such as tax allowances for pensions. Labour laws make it harder to lay off current employees who may be poor performers, which means there are fewer jobs available for young qualified graduates. At the same time, many Gen Y-ers have a strong sense of entitlement and expect to receive appreciation for their contributions. They demand flexibility with their work and lifestyle and change jobs far more often than older generations. This is sometimes seen as being flighty or unreliable. Matching these high expectations in such unfavourable circumstances requires Gen Y to create its own future. But to achieve its goals, this generation needs to be more involved politically. In the 2012 US Presidential election, 46% of Gen Y voted as opposed to 61% of Gen X-ers, and 69% of Baby Boomers. The expectations of Gen Y-ers have to be matched by their taking more responsibility: they shouldn’t complain about political outcomes they did not involve themselves in. As technology encroaches further into working lives, Gen Y-ers – the future of the workplace - must ensure they remain necessary and relevant. If they want to continue pursuing their progressive career values they must continue to improve their skills in order to work alongside automation and AI, rather than be made redundant by it. Gen Y needs to rise to the technological, political and social challenges that confront us all and get more involved in shaping the future of work. Special thanks to Kate Dodgson, a Gen Y-er, who helped research this article.